Tactical play is the nitty-gritty of chess. It's the stuff that players are trying to work out when they say to themselves, “If I go there and he goes there ... and then I check him with the knight ... now, what can he do ... etc.” At a social or weak club level, virtually 100% of games are decided for tactical reasons. If you want to play good chess you have to understand tactics. It's that simple! 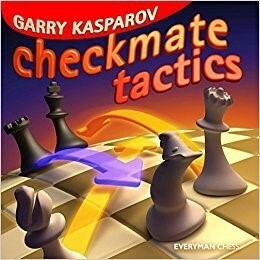 Checkmate Tactics, written by Kasparov the greatest chess player of all time, will help you achieve this goal.